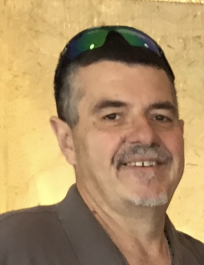 Walter Kowalczyk, Jr. 56, of Valhalla, N.Y. died suddenly on March 26, 2019. He was born on May 8, 1962 to Walter and Zofia (nee Zurich) Kowalczyk, Sr. in Yonkers, N.Y. Walter was a Housing Superintendent for the NY Medical College in Valhalla, N.Y. He was a hard worker, loved cooking, fishing and most of all his family. Walter is survived by his devoted wife, Jonette (nee Cairns) Kowalczyk and by his loving children, Walter Kowalczyk, Kaydee and Zoe Kowalczyk, all of Valhalla, N.Y. his beloved mother, Zofia Kowalczyk of Yonkers, N.Y. one brother, Fr. John (Kathy) Kowalczyk of PA and two sisters, Anna (Bill) of Yonkers, N.Y. and Amelia ( Michael) of PA. Visiting at Hawthorne Funeral Home on Friday, April 5, 2019 4-8 PM. Interment Private. In lieu of flowers donations to https://www.gofundme.com/kowalczyk039s-family-fundraiser, would be appreciated.